Elevate your color services with powerful dyes that open up infinite new possibilities. Reinvent any Goldwell shade and any technique with @Pure Pigments – you and your clients will never see hair color the same way again. 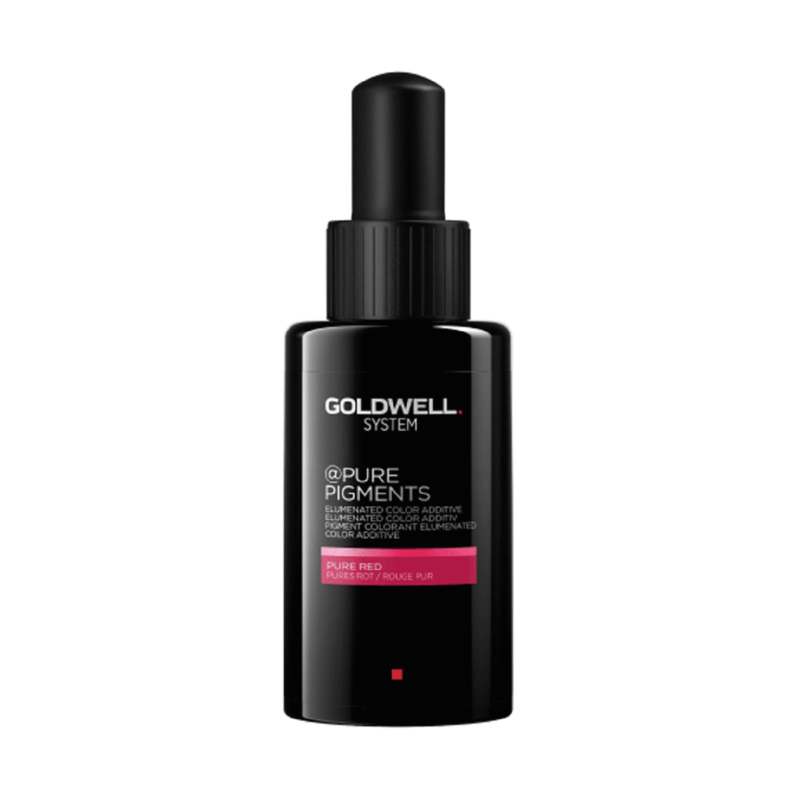 @Pure Pigments marks a revolution in Goldwell hair color. High-definition direct dye additives that elevate hair color with unprecedented vibrancy and brilliance. Elevate your color services with powerful dyes that open up infinite new possibilities. Elumenated Hair Color is the result of @Pure Pigments surrounding Topchic, Colorance and Nectaya’s depth and coverage with an outer ring of extraordinary color brilliance and shine. This layering of color creates a moving, 3D effect that changes and morphs as light hits it. Endless possibilities to achieve Elumenated Hair Color Effects. No matter what level of hair, you can add as little as one drop or as much as 10% to the final oxidative color mass. Keep in mind - the lighter the level, the more intense the result will be.